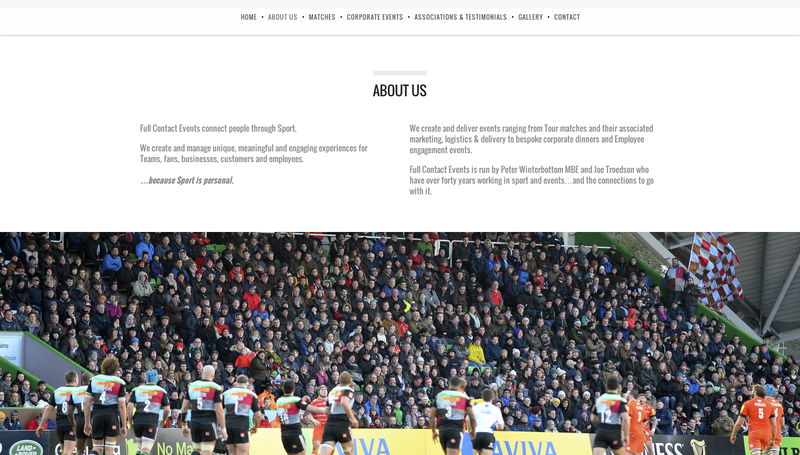 After creating their branding and producing offline marketing materials for Full Contact Events, the next step was to create a website for the sports-related events management company. 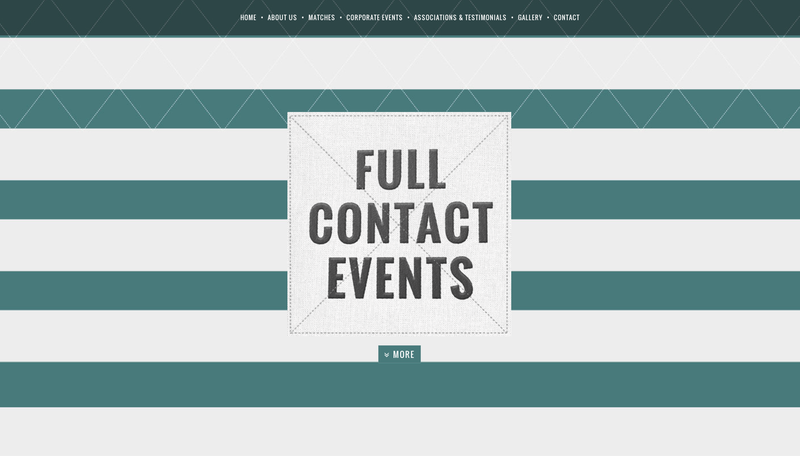 Ideally, Full Contact Events wanted their website up and running ahead of one of their first major events, which meant that we had a small window of time to complete the project. 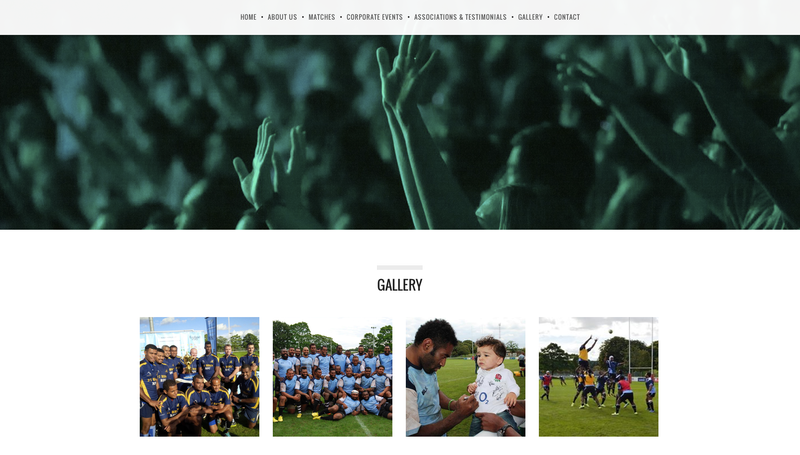 So, we started straight away and worked hard to create a simple yet functional website for Full Contact Events and their target audience. We completed the project in plenty of time and our client was extremely pleased with the result. As we had just created the branding for the company we were able to easily translate the styling from offline materials onto the website. 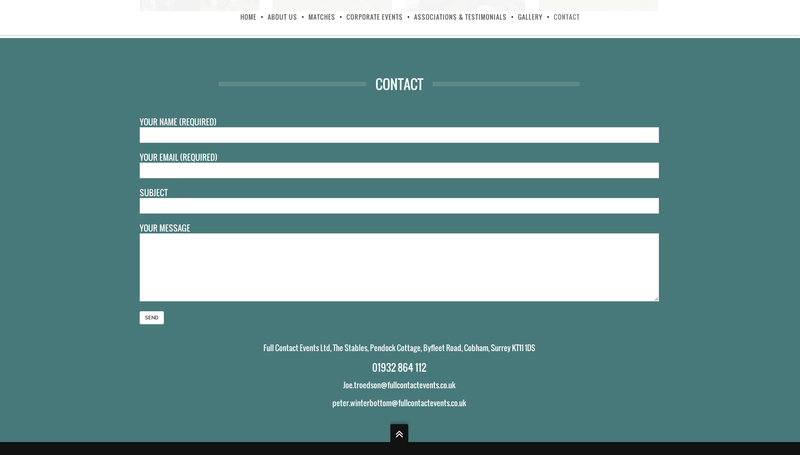 Then, we decided to create a simple one-page structure beginning with the ‘About Us’ section, through to more information about corporate events and the company testimonals, to a gallery and finishing with a short contact form. This easy-to-use structure allows site-users to explore by either scrolling down or using the top navigation for a website that really functions well across mediums – on smartphones, tablets and desktop computers.